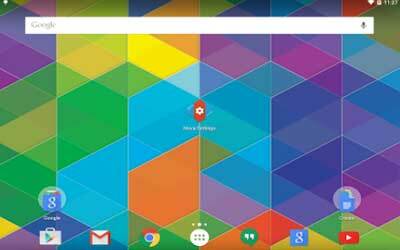 Nova Launcher APK 4.3 can be used for home screen in Android mobile phone. This launcher can be customized in high quality. Nova Launcher makes your home screen will be easily controlled. This is one of the best launcher for modern Android phone. It allows you to change layouts, animation, and icons with ease. In addition, it is very capable launcher. It comes with great performance without any significant difficulties to be used. By replacing your home screen with this launcher, you can get the freedom to customize the phone according to what you need. You will get a kind of unique and attractive home screen in Android using this application. Nova Launcher allows users to control the color for many purposes such as color for backgrounds, labels, drawer tabs, folders, and many more. You can find icon themes which are available in thousands options. There is sub grid positioning that allows its users to snap icons through desktop grid cells. In customized widget drawer feature, users are allowed to custom effect, the position of scrolling, the tabs, etc. There is also a feature that can group widgets by application called improved widget drawer. Nova Launcher can work fast but still being smooth and quiet. You can also create many docks and put any widget in your dock. Besides, there is also restore feature that can be used to back up the launcher setting and layout of your desktop. This app provides smooth rotating effect of 3D. It has the innovation of customizing the wallpaper cropping. The desktop grid size can also be increased to its maximum level. Since this launcher has lots of option, it will take more time to learn the whole options provided. This great launcher is the perfect choice for those who want to control the home screen totally. Nova Launcher for Android can bring more personal customization into home screen on your Android phone. Fast – Nova Launcher is highly optimized to do it’s work quickly and quietly.